Someone told me christmas had passed, again. 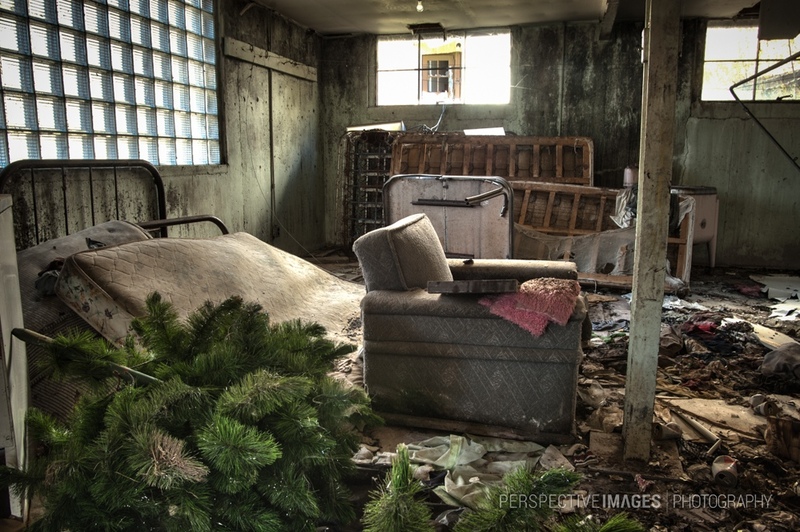 We weren’t exactly planning on putting the tree up this year anyway, time moves at a different pace in this wasteland. A living, surreal painting where the ambient light of day makes the time drag unnaturally. If the scorched skies aren’t burning down on the contaminated soil, the wind is carrying the foulness across the sky in vast, tainted dust clouds. It’s a sick irony, taking shelter in the detritus of the old world, the era that bequeathed us this fortune. Have a belated merry christmas. Sure go right to the Nuclear Christmas shots and not post any Nuclear Thanksgiving shots!! The Christmas tree does add that special element to the shot. I was thinking that the tree looked to be in really good shape, considering the circumstances. But if it’s because it’s made of plastic, that would be funny.